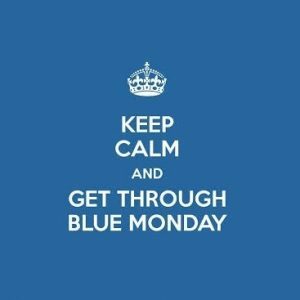 Is “Blue Monday” true or a myth? Blue Monday, the third Monday in January, is known as the “most depressing day of the year.” Christmas decorations are put away, bills from the holidays start pilling up, the weather is getting even colder, we wake up in the dark and the sun is setting early, News Year’s Resolutions have been abandoned, and motivation is low. Here are some wiZdoms on creating power days and battling the winter blues. When you wake up in the morning, take a minute or two of quiet, deep breathing. Focus your intention on your breath rather than your to-do list for the day. Set your intention for the day and write it out in the present tense. For example: “I am so happy and grateful now that (this particular thing has happened). Try writing it on an index card and adding it to your daily routine. Practice gratitude immediately. Download our Gratitude Journal here to remind you to look for ways to express your gratitude in every situation. Exercise: When you exercise, you release mood-boosting endorphins in your brain. These endorphins balance out your serotonin and melatonin levels, which improve your mood, help you sleep better, and can even help you eat healthier. Get more Vitamin D: Even though it’s cold out, try to get outside and get some sun! Or you can talk to your doctor about supplementing with Vitamin D3, which helps support your immune system and your heart health. Try Blue Light Therapy: Talk to your doctor about blue light sessions. You can sit in front of this special lamp a couple of times a day and it gives you the same benefits you would get from natural sunlight. This is about not thinking of love as an emotion, but rather choosing love to be the greatest expression of your higher self. Loving inspires us to do great things and focus on solutions instead of problems. Answer these questions from the Soul Purpose Institute to visualize your best year ever. Visualization of what we want is a proven way to create power days. What would you like your biggest triumph to be this coming year? What’s the one single thing that needs to be consistently done to support that win for you this year? What advice is important to give yourself for this coming year? What major effort do you plan on doing to improve your financial results this year? What major indulgence are you willing to give yourself this year? What are you looking forward to learning this coming year? What do you think your biggest risk will be this coming year? What about your work are you most committed to evolving and improving upon this coming year? What is one undeveloped talent you are willing to explore this coming year? What brings you the most joy and how are you going to do or have more of it this coming year? Who or what (other than yourself) are you most committed to loving and serving this coming year? What one word would you like to have as your theme this coming year? How do you conquer the winter blues? Let us know by leaving us a voicemail at 646-653-9278 or sending us a message here.